Publisher: W. Foulsham & Co. Ltd.
Ernest John ("E.J.") Harrison was an English journalist, author and judoka. Harrison was born in Manchester, England, on 22 August 1873. He wrote many books about the practice of judo. He died in London, on 23 April 1961. As a young man, Harrison was a journalist who worked for newspapers in England, British Columbia, and Japan. He enjoyed wrestling. In 1897, while working for Yokohama newspaper called Japan Herald, he began training in Tenjin shinyo-ryu jujutsu. After moving to Tokyo, he began training in Kodokan judo. In 1911, he was the first foreign-born person to achieve shodan (black belt ranking) in Kodokan judo. 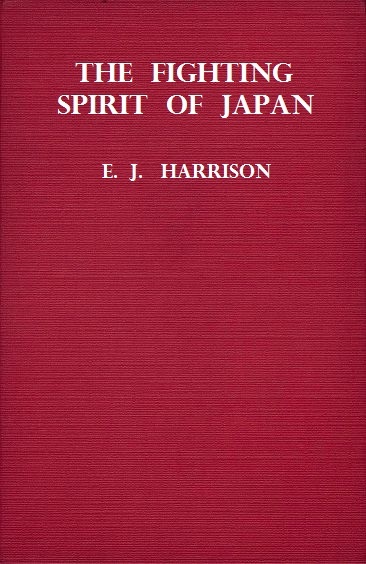 In 1912, his Fighting Arts of Japan was among the first English-language books to describe the Japanese martial arts from the perspective of a foreign-born practitioner of those arts. In 1916, Harrison was commissioned a lieutenant in the British Army. He served until 1919. Countries he served in included China, France, Latvia, and Estonia. In 1921, Harrison left Lithuania to London and started to work as official press attaché and ELTA correspondent in the Lithuanian legation to the United Kingdom. Most of his professional writings from 1921 to 1940 focused on Lithuanian topics. After work, he often participated in the activities of a London judo club called the Budokwai. During World War II, Harrison was a censor in Russian, Lithuanian, and Polish languages for the British Post Office. After World War II, he wrote and translated judo books.--Wikipedia. Epub 20150722.epub If you cannot open a .mobi file on your mobile device, please use .epub with an appropriate eReader. Mobi/Kindle 20150722.mobi Not all Kindles or Kindle apps open all .mobi files.